Over the past 50 years, WMF has supported more than 600 important and vulnerable heritage sites around the world, and the story of the organisation’s history is just as compelling as the sites it is dedicated to protecting. It begins back in 1965, when James A. Gray – a retired US Army colonel with a keen interest in solving engineering problems and a passion for ancient sites – founded the International Fund for Monuments, as WMF was originally known. Gray had no professional experience in conservation, but having witnessed the extraordinary international campaign launched by UNESCO to move the Nubian Monuments at Abu Simbel to higher ground before the construction of Egypt’s Aswan High Dam, he was convinced that far more could be done to preserve cultural heritage if only the private sector could be engaged in the effort. This was the impetus for the creation of WMF – one man with a powerful conviction that private interest and investment in conservation should play a valuable role in supporting and strengthening government resources to protect the historic environment. Gray got the ball rolling with feasibility studies to address the progressive tilting of the Leaning Tower of Pisa, before his fledgling organisation took on its first project at the deteriorating twelfth-century rock-hewn Coptic Christian churches of Lalibela, Ethiopia. Gray was able to match donors to projects, and the challenges of the early initiatives – technical issues, financial needs and a lack of public awareness – continue to drive WMF’s expertise today. The task at Lalibela was to find a method to remove a bituminous wall coating which was causing the deterioration of delicate murals and polychrome finishes within the sanctuary. 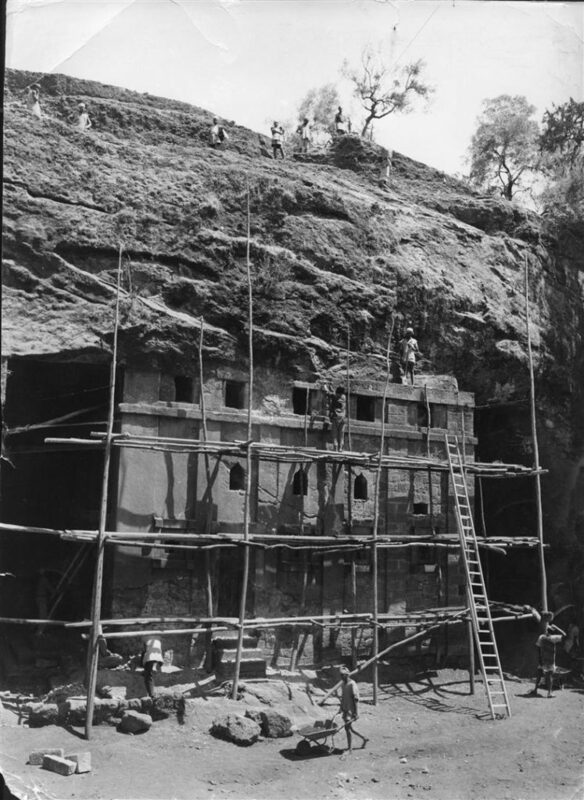 The US government funded five years of archaeological survey and trained a large Ethiopian work force to undertake the restoration – a project that ran until the country’s government fell to revolutionaries in 1972. 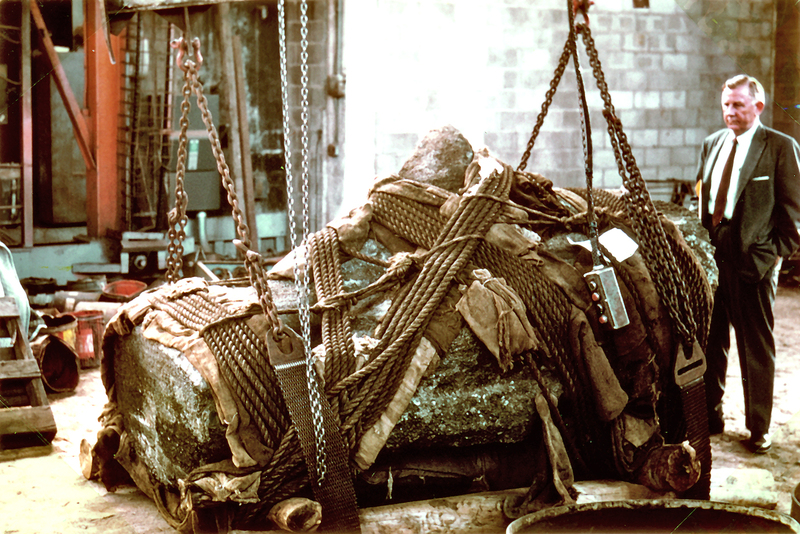 In the late sixties, Gray successfully transported one of Easter Island’s 1000 year old Moai figures to the US in a promotional tour that brought the threatened site international attention and the funds to instigate a long-term restoration project. 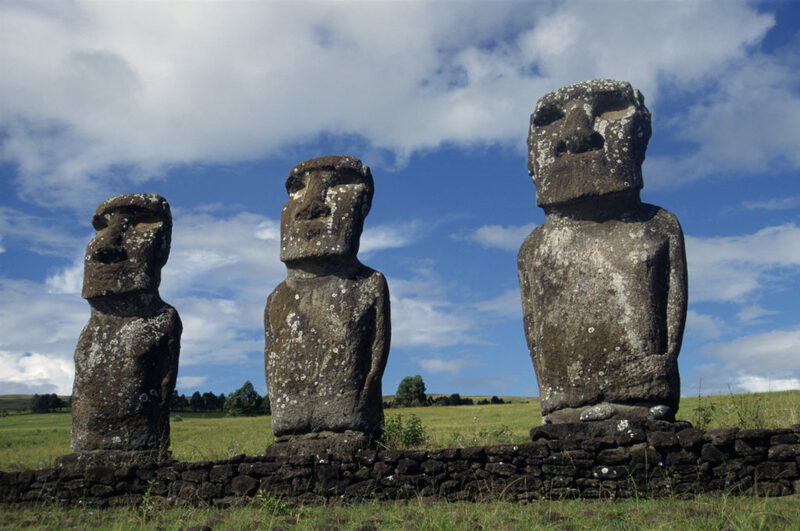 The conservation field has evolved and the same stunt would not happen today, but WMF’s work at the island continues, helping support conservation at Rano Raraku and Oronogo, two distinguished archaeological sites in the Rapa Nui National Park. The campaign to preserve Venice in the aftermath of the 1966 floods was IFM’s focus throughout the 1970’s, and by 1980, the growing organisation began to apply its skills across Europe, with the support of the Samuel H. Kress Foundation. In 1990, WMF presented HRH The Prince of Wales with its annual Hadrian Award in recognition of his efforts in advancing the conservation of world architecture, and in his acceptance speech HRH called attention to the plight of St George’s Hall in Liverpool, describing it as ‘one of the finest neoclassical buildings in the world’. Having enlisted WMF’s support to help conserve it, the restoration of the Small Concert Room (2004-2006) at St George’s was WMF Britain’s first project, the London office having been founded with a gift of $1 million and a bequest from one of America’s most Anglophile and enlightened benefactors, the late Paul Mellon (1907-1999). WMFB has since completed project at over 30 UK sites – and established partnerships with many more on the Watch – to provide on-site conservation, educational resources, training and advocacy. In 2015 WMF welcomed HRH as Honorary Chairman of the 50th anniversary. Amidst an ever-increasing demand for support, WMF broadened its impact with the launch of the World Monuments Watch back in 1996, a biennial advocacy programme with the power to attract international attention and secure financial support for sites urgently in need of help – from the Taj Mahal to Strawberry Hill and Machu Picchu to Headfort House. The ability to leverage local investment in projects is a defining characteristic of WMF’s success, aided greatly by the philanthropy of the late Robert Wilson, who in 1998 offered a challenge fund of $100 million for projects on the condition that WMF secure match funding from local partners – a quest that has increased the scale and impact of our projects all over the world and generated some of our most memorable legacies, including Stowe House – a landmark achievement in WMFB fundraising over the last five years, for which we generously thank all those who donated. As we look to the next 50 years, with the era of the Robert W. Wilson Challenge at a close and without government funding or an endowment, WMF’s flexible and innovative approach – adapting to changing circumstances to find effective and meaningful solutions, build partnerships and raise funds from scratch – is becoming increasingly valuable. 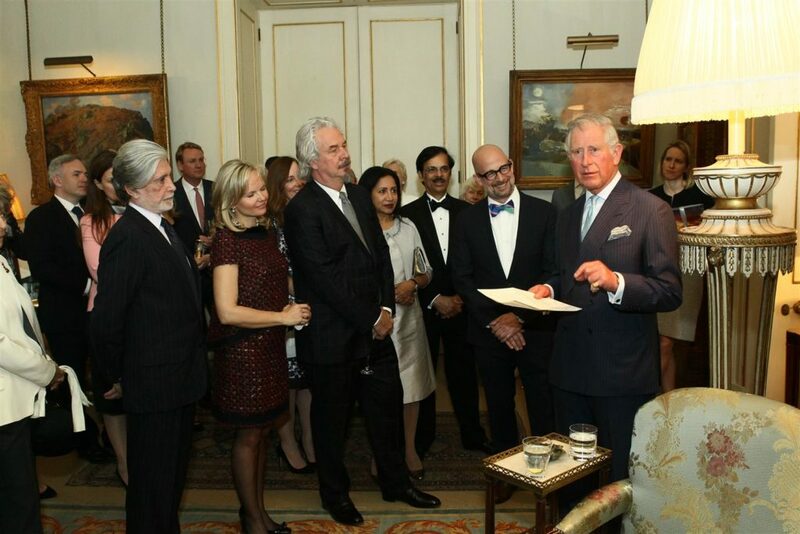 HRH Prince Charles, Patron of the 50th Anniversary campaign welcomed WMF supporters to his home Clarence House in May 2016.